🕵️ Bug/Broken - Forge World FAWE | Forge | Vale Network ~ Minecraft Survival Servers! Players Involved CrAzYgUy247 - All with default rank I would think? 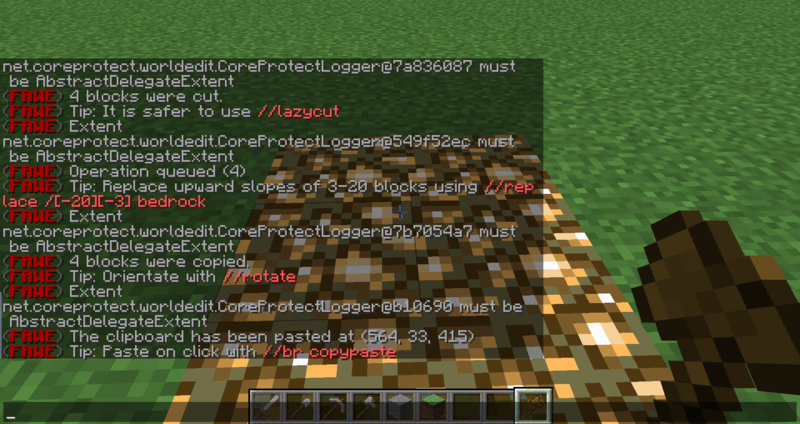 Explain Essentially, FAWE will spam the player with an error code even if on any plot after voting online. Additionally, the reward message states W/E will last for 30 minutes. Not the 1 hour promised/indicated from just typing /vote in game initially. Spoiler: Example of when trusted then not trusted. 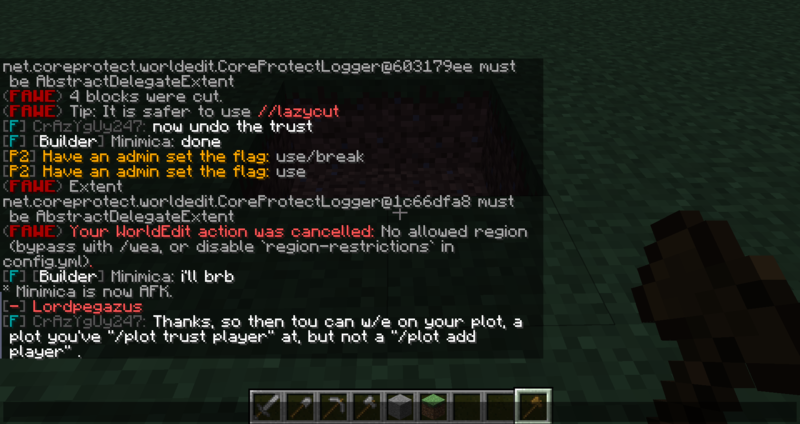 I've also tested with the default rank that you can use gained W/E in your plot, in a plot where you've been trusted by the "/plot trust player" command. But does not work with the "/plot add player" command. This means in order to W/E on someone else's plot you must trust them. I investigated this as people were getting confused on why their W/E wasn't working when they've been added as It makes sense to try so as the whole point of adding a player to a plot is so said an added player may be monitored while building. I think if possible, that the ability to use the W/E from voting should also be useful to those who had been /plot add player'd for safety. Rather making someone have to trust to get them the ability to when they may not exactly want them to. Unfortunately, FAWE is broken and this is the reason we haven't been able to do a build move. We have to just wait till FAWE gets updated to fix all of these issues.